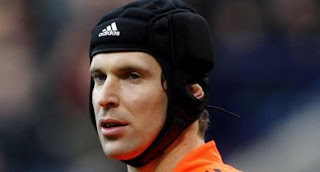 Goalkeeper Petr Cech has admitted that a poor team display was to blame for the 5-3 defeat at home to Arsenal on Saturday. The Blues twice surrendered the lead in an incredibly open game at Stamford Bridge as their defensive mistakes were exposed by Arsenal's in-form attackers, with Robin van Persie netting a hat-trick. Cech does not think it is just the back four that should accept responsibility and feels everyone in the team must work hard to bounce back in the next match. "I am extremely disappointed about the result," the Czech Republic international said. "But there is nothing we can do about it now - the only response is to win the following games."